Racing at Cheltenham dates back over two-hundred years. 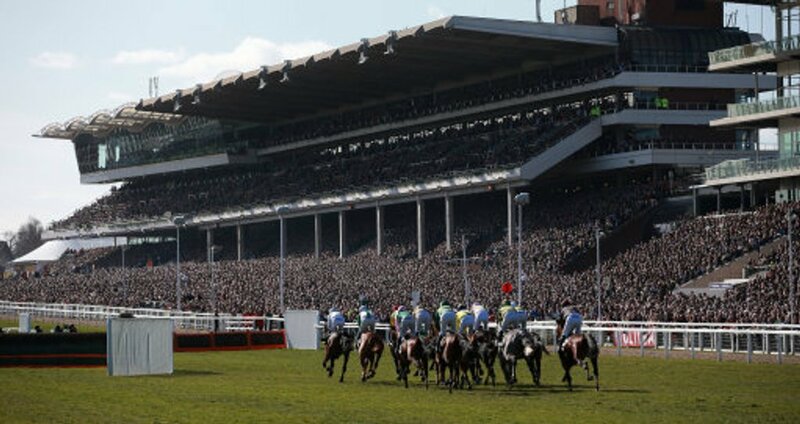 The first official horse race in Cheltenham was in fact a flat race, which took place in 1815 on Nottingham Hill. Racing also began to unfold on Cleeve Hill - which overlooks Prestbury Park (the course we know today), three years later in August 1818. The popularity in the sport began to increase over the next decade with crowds of 30,000 visiting the racecourse for its annual two-day July meeting, which featured the old Gold Cup - a 3m flat race. The racecourse was moved to Prestbury Park in 1831 after major disruption at the old course led to the main grandstand being burned down. Steeplechasing became established in nearby Andoversford from 1834 and moved to the present course in 1898, and has since been known, as the headquarters for jumps racing. The stands at Prestbury Park have changed very little between the 1920's and the 1950's when the National Hunt Steeplechase course ran behind the back of the stands. The original Tattersalls Grandstand was opened in 1960 to cope with the growing crowds. The Weighing Room was underneath the Festival Restaurant and the Winners Enclosure above the Parade Ring. During this period the centre of the racecourse was developed and became a popular raceday enclosure. The main Grandstand was completed in 1979 and extended twice in the 1980s. The top two levels were dedicated entirely to private hospitality, and in 1982 the Parade Ring, Weighing Room and Hurdlers Hall were built behind the stands with terraced viewing for 4,000. The new stables complex was opened in 1990, with the Pre-Parade Ring used for the first time in 1992 and Hall of Fame Entrance officially opened in 1993. The main racecourse has two separate courses alongside each other, the Old Course and the New Course. The New Course has a tricky downhill fence and a longer run-in for steeplechases than the Old Course. Hurdle races over two miles on the New Course also have a slight peculiarity in that most of the hurdles are jumped early on in the race with only two hurdles being jumped in the last seven furlongs. The Cross Country Course was introduced in 1995 and is now raced on three times each season, including at The Festival (Cross Country Chase). The race weaves around the centre of the course with natural obstacles including hedges, banks and ditches, and is a great preparation run for the Grand National at Aintree in April. In 1997, the original Tattersalls Grandstand was knocked down and replaced with tiered viewing and the Panoramic Restaurant which boasts spectacular views across the racecourse. During 2003-2004, £3 million was invested in the Best Mate Enclosure in the centre of the racecourse, giving a new grandstand and arguably one of the best views of racing. During the same period, £17 million was invested in providing additional race day facilities with The Centaur, a new conference and events centre. Accommodating up to 4,000 visitors, The Centaur is the biggest venue of its kind. In 2005, the iconic Festival was successfully extended to four days. Cheltenham has now completed the £45 million redevelopment of the course, which opened in November 2015. The Festival is worth an estimated £100m to the local economy and hosts the largest tented village of any kind at a sporting event. 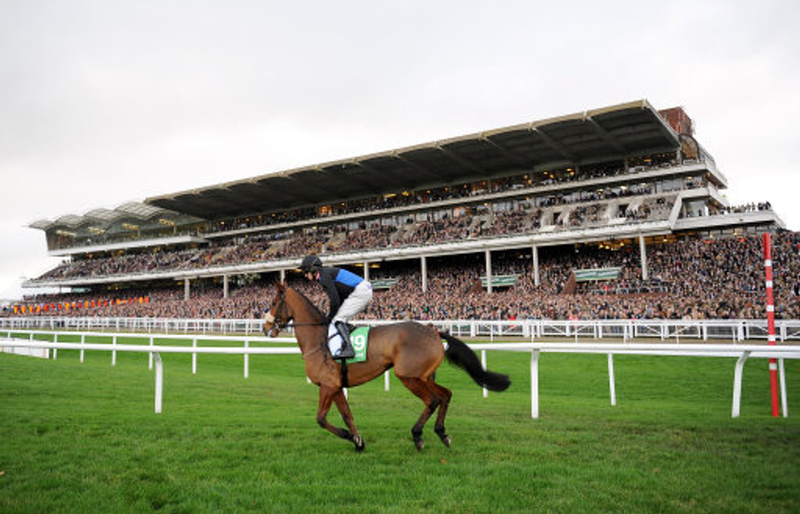 Prize money at Cheltenham exceeds £6m throughout the season with £4 million of that on offer at The Festival alone, making it the most valuable and prestigious fixture in Jump racing.